It probably sounds like gibberish to people who live in the Midwest, but for those who live in waterfront communities, it’s a very familiar word: riprap. For the uninformed, riprap is basically rocks or other materials commonly used on shorelines to prevent erosion from water. First-off, it’s not only for shorelines. It can be used anywhere where erosion from water is an existing or potential issue. Riprap is typically used on shorelines of rivers and creeks to combat erosion caused by the movement of water in these bodies. But they aren’t the only places where you see it. Riprap on steep graded hills can prevent erosion related to the weather, such as rain. Riprap helps to encourage wildlife by creating habitats. Marine scientists recommend installing it over bulkheads because water typically covers it during high tide, making it perfect for small water creatures in search of shelter. 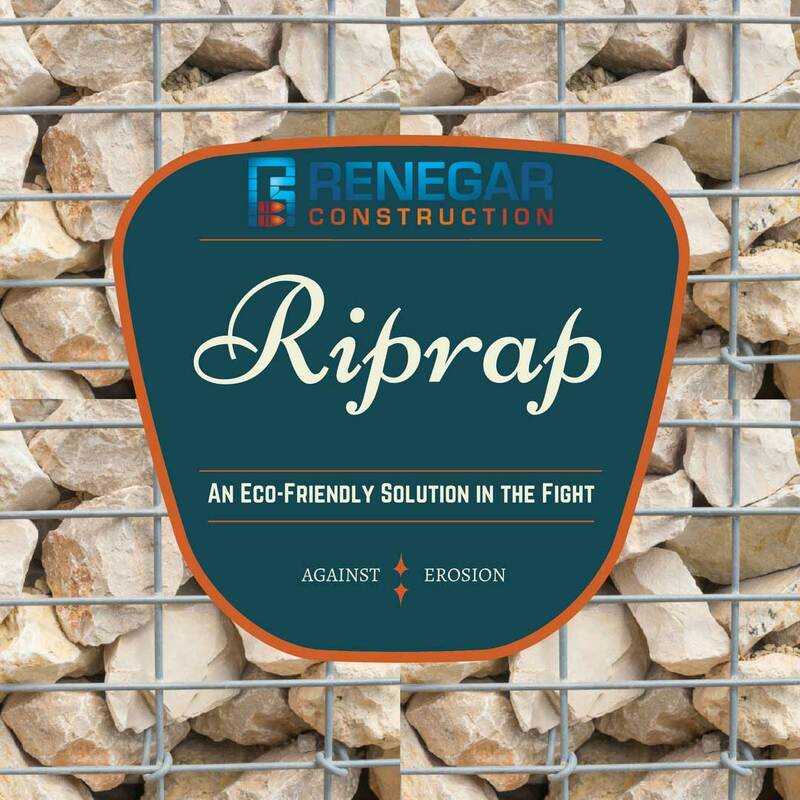 Proper construction of riprap makes a significant difference in the efficacy of erosion control. In places where the rates of erosion are high, it can be placed in front of a seawall. In addition to preventing erosion, this will help to absorb waves. Such an installation is preferable in marina-type settings and inlets where erosion problems are serious. 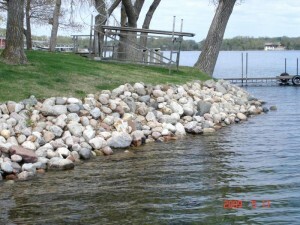 Riprap is frequently used to protect marsh grasses. Need a riprap in Lake Norman NC? Contact us at Renegar Construction. Our 15 years of experience combined with our passion for delivering quality service makes us the perfect company to handle your next project!